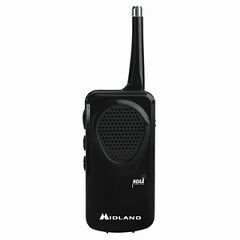 The Midland Pocket Weather Alert Radio contains 7 Weather channels with NOAA Weather alert. 6" Telescopic antenna attached. The easy and user friendly radio makes safety simple. You can get local weather information quickly and conveniently in a small size. Auto-scan upon power up: radio automatically scans all NOAA weather channels upon Power On. Great for emergency situations.